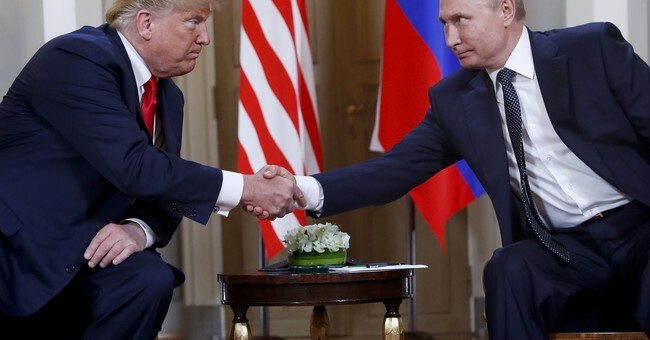 The White House announced Friday morning the United States is pulling out of the Intermediate-Range Nuclear Forces treaty with Russia after repeated violations by the Kremlin. "For far too long, Russia has violated the Intermediate-Range Nuclear Forces (INF) Treaty with impunity, covertly developing and fielding a prohibited missile system that poses a direct threat to our allies and troops abroad," President Trump said in a statement. "Tomorrow, the United States will suspend its obligations under the INF Treaty and begin the process of withdrawing from the INF Treaty, which will be completed in 6 months unless Russia comes back into compliance by destroying all of its violating missiles, launchers, and associated equipment. Our NATO Allies fully support us, because they understand the threat posed by Russia’s violation and the risks to arms control posed by ignoring treaty violations." The United States gave Russia a 60-day period to comply with the treaty back in December. That opportunity was ignored and therefore, America is getting out. "The United States has fully adhered to the INF Treaty for more than 30 years, but we will not remain constrained by its terms while Russia misrepresents its actions. We cannot be the only country in the world unilaterally bound by this treaty, or any other. We will move forward with developing our own military response options and will work with NATO and our other allies and partners to deny Russia any military advantage from its unlawful conduct," Trump said. "We stand ready to engage with Russia on arms control negotiations that meet these criteria, and, importantly, once that is done, develop, perhaps for the first time ever, an outstanding relationship on economic, trade, political, and military levels. This would be a fantastic thing for Russia and the United States, and would also be great for the world," he continued.